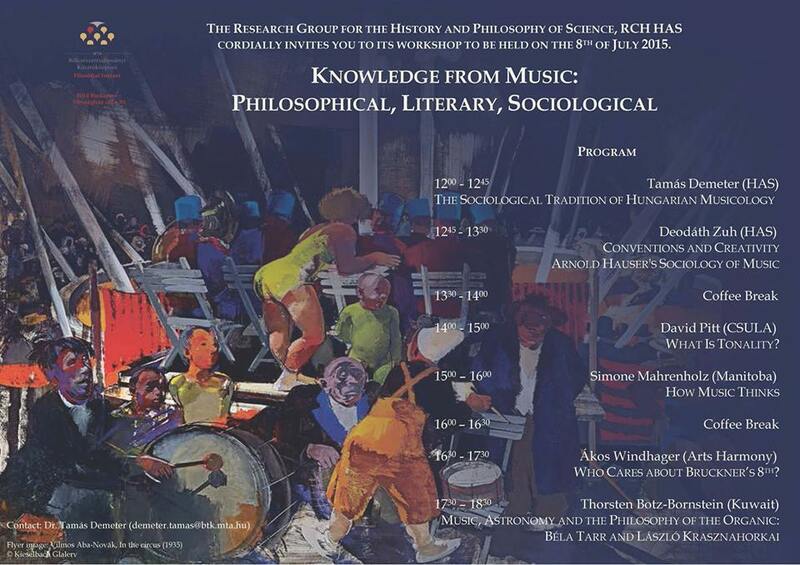 "Knowledge from Music: Philosophical, Literary, Sociological"
Venue of the workshop: 1014 Budapest, 30. Országház st. Date of the workshop: 8th July, 2015. 14:00 - 15:00 - David Pitt (CSULA): What is Tonality? 16:30 - 17:30 - Ákos Windhager (Arts Harmony): Who Cares about Bruckner's 8th?